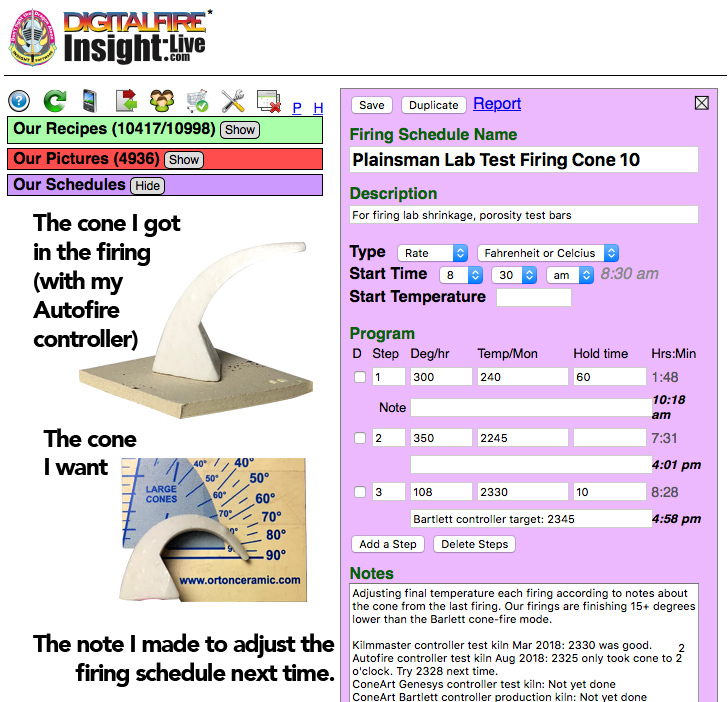 Here is an example of our lab firing schedule for cone 10 oxidation (which the cone-fire mode does not do correctly). We need it to actually go to cone 10, the only way to do that is verify with a cone (self supporting cones are the only accurate way). Then make a note in the record for that schedule in your account at insight-live.com.